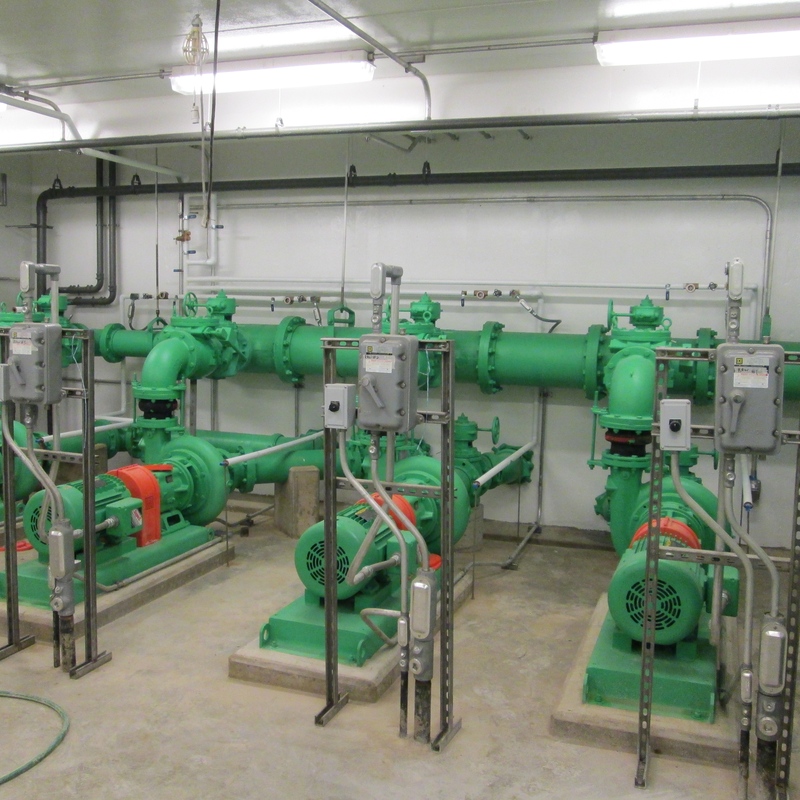 Struvite Prevention is a hot topic for discussion groups and seminars where the participants are plant managers and operators of wastewater treatment plants (WWTP) and Concentrated Animal Feeding Operations (CAFO). The overflow line off the anaerobic digester is often the first piece of equipment to get choked by a deposit of hard rock Struvite crystals. 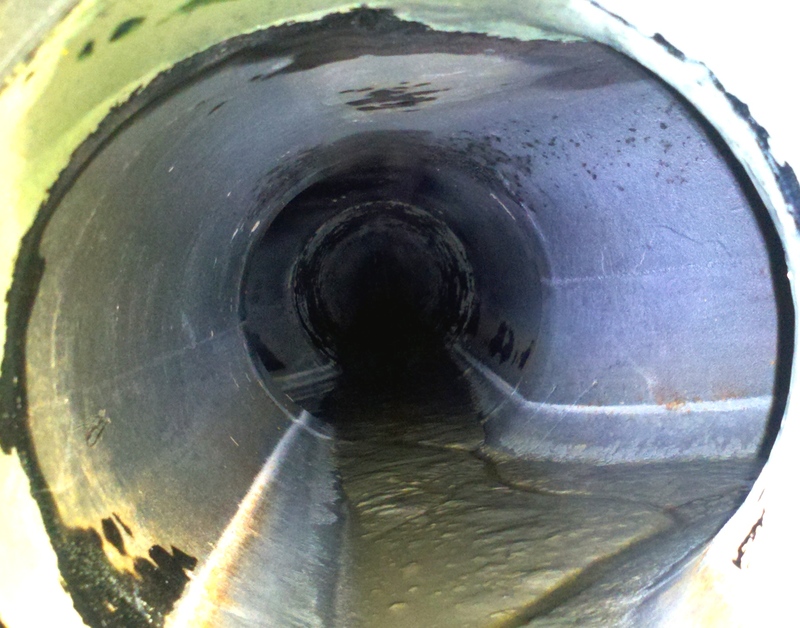 Struvite tends to form in the anaerobic digester and on the pipes and equipment involved in dewatering the sludge solids. The worst Struvite precipitation often builds up in the sludge transfer lines in a WWTP or in the recirculation pump from a lagoon in CAFO. The turbulent areas, which are their pump heads, pipe bends and sludge transfer lines see a release of CO2 and the formation of struvite crystals. The best method to prevent struvite is to have a program that limits the availability of the base components of Struvite to react with each other. Struvite is a mineral compound made up of magnesium, ammonia and phosphorus, aka "MAP." The ingredients for Struvite crystal are found in the water of WWTPs because of the makeup of the human waste. Our drinking water contains a small minute amount of magnesium, but it gets a bit concentrated in the anaerobic digester. Urea from human waste breaks down into ammonia and carbon dioxide (CO2) in the anaerobic digester. Phosphorus comes into the plant as a phosphate from our dishwasher and laundry detergents. The anaerobic digester in combination with the pipes and pumps makes a terrific growth site for Struvite. When magnesium, ammonia and phosphorus come together in a one mole to one mole to one mole relationship in the WWTP or CAFO digester, Struvite precipitates. To prevent struvite formation, one has to keep the MAP components from developing into crystals. This is a product that is designed to keep the MAP in liquid form and prevent struvite from precipitating in WWTPs and CAFOs. The most cost effective method is to control (chelate) the magnesium and keep it in solution. MAP will not precipitate. If one has MAP crystals already formed, then by chelating the magnesium from the MAP crystal, you can solubilize the ammonia and phosphate back into solution. Using JS 9310, we can resolubilize the magnesium from the MAP crystal thereby breaking the formation. A struvite inhibitor conditions the surface area of equipment and infrastructure so that deposits will not form, nor will struvite crystals attach themselves to the equipment surface. This also applies to other insoluble molecules in suspension within the wastewater. In the case of struvite inhibitor, the chelation action that it generates towards magnesium also acts as a secondary inhibitor. In WWTP and CAFO systems where there is equipment like anaerobic digesters, heat exchangers, anaerobic lagoons, sludge transfer lines, dewatering equipment (ie belt presses, centrifuges, screw presses and rotary drum filters) without some type of inhibitor, struvite will form in low flow wastewater zones or rough surfaces on pipelines, valves and pumps. The recommended usage is between 30-90 mg/l to inhibit struvite and prevent struvite formation. Struvite Dispersant and Inhibitor STSP is an easy liquid to work with and is an environmentally friendly product. It is used to keep the pH of the liquid well below its precipitating pH. It is also a lot easier than injecting CO2 into the WWTP and CAFO systems in an effort to control the ammonia. It has a successful track record being used to prevent struvite. Free samples are available so that you can conduct your own successful laboratory tests on your MAP liquids. For a free consultation, samples, or for us to conduct testing, please visit our contact us page.